In last month, it was reported that Carol actress Cate Blanchett would be joining the cast of Thor: Ragnarok. Although Marvel has yet to make her casting official, Mark Ruffalo indirectly said last week that she might play a villain. Since then there have been several guesses about who her character will be, but one report is now saying that we may see Blanchett play Hela, the ruler of Hel and Niffelheim. Warning: potential spoilers for Thor: Ragnarok are ahead! Hela will reportedly be Thor: Ragnarok’s main antagonist, meaning that if Ruffalo is to be believed, it will be Blanchett occupying that role. Geek.com has heard that she will make it to Asgard and ally herself with Loki for an unknown scheme, and by the time Thor figures out what they're doing, the plan will already be well underway. If that wasn’t bad enough, apparently when Thor confronts Hela in the 2017 blockbuster, not only will she defeat him and banish him from Asgard, but she’ll destroy Mjolnir in the process. She’ll also have command over the "dead souls" in the Nine Realms just like her comic book counterpart, in addition to the natural abilities all Asgardians have. Introduced in 1964, Hela was the daughter of a giantess and an alternate version of Loki. (It will be interesting to see if the God of Mischief is also her father in the MCU.) When she reached adulthood, Odin selected her to be the Goddess of Death, and gave her Hel and Niffelheim to look after. Not content with only these areas, Hela has often tried to expand her power to Valhalla, the afterlife where all heroes and honored warriors go, but she’s been thwarted by Thor, Odin and several others. Outside of the comics, she appeared in the animated series The Avengers: Earth's Mightiest Heroes and Avengers Assemble, and was also one of the antagonists in the animated movie Hulk vs. Thor. Assuming this Thor: Ragnarok report is correct, the logical guess would be that Hela might be trying to unleash Ragnarok, which would result in the destruction of the Nine Realms. After all, that gives her more dead souls to rule over. However, why Loki would want to team up with her to bring this about is unclear. He may be a villain, but he doesn’t want the entire universe to be wiped out. In the comics, Loki teamed up with the fire demon Surtur during the Ragnarok storyline, though Loki only wanted to rule Asgard, while Surtur wanted it destroyed. Perhaps this is what will happen in the movie as well. Loki thinks their plan is one thing, but it’s actually something entirely different. 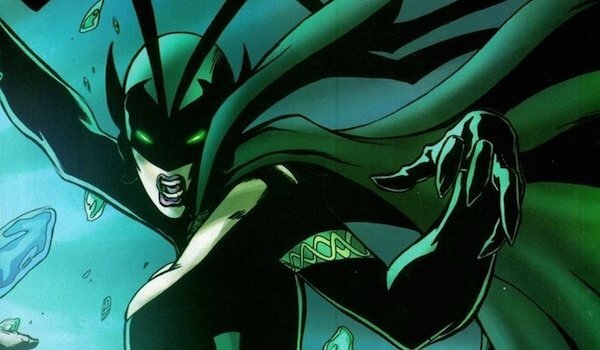 There was also speculation in the report about whether Hela might serve as the MCU’s physical embodiment of Death, subsequently making her the object of Thanos’ affection in the Avengers: Infinity War movies.